Thank you for submitting your item for appraisal. 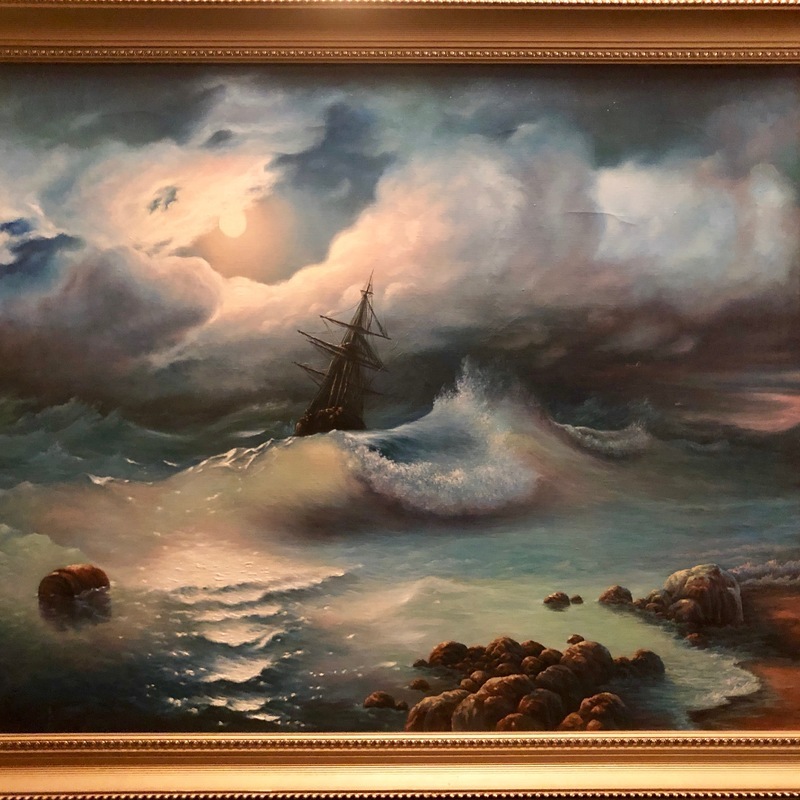 This appears to be a good copy of the painting "Stormy sea at night " from 1853 by Ivan Aivazovsky, inscribed "Бурное море ночью" and inscribed or signed Mrs. Safarow (?) and dated Moscow 2002. There are lots of well trained artists in Russia, specializing in copying old master paintings. The original painting by Иван Айвазовский measures 82 x 117 cm. This academic painter is not known but the quality of the copy in your possession is good. The estimate is based on similar paintings sold at auction. Lowell nesbitt " cloud and water landscape"